AIA is an adult ESL school located near the University of Texas at Austin in Austin, TX. 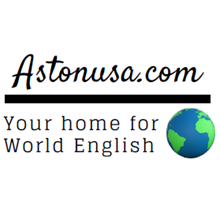 Aston International Academy is committed to providing immersive academic and non-academic English language education to speakers of other languages. Serving both international students and Austin residents, we aim to foster a community of learners with a focus on fluency, accuracy and confidence in a comfortable, family-like atmosphere. AIA is accredited by the Commission on English Language Program Accreditation for the period of August 2016 through August, 2021 and agrees to uphold the CEA Standards for English Language Programs and Institutions. AIA offers a flexible 4-day/week schedule with classes starting at 9am. No classes on Friday! AIA's core classes are Grammar/Conversation, Listen/Discuss, and Reading/Writing. There are also a variety of elective classes to choose from, depending on the semester, such as: Idioms, Pronunciation, Pre-TOEFL, IELFTS, Language/Culture, Vocabulary, Introduction to Research Writing, and Business English. Full-time students must take all of the core classes, and 1-2 electives. Part-time students can enroll in up to 16 hours of study each week. AIA offers Student Success Workshops throughout the semester, and weekly Social Activities. AIA offers college and university advising, free wi-fi, a kitchen area with free coffee and tea each day, on-site Institutional PBT TOEFL exam each semester, a lending library, help with housing, and birthday and holiday celebrations.